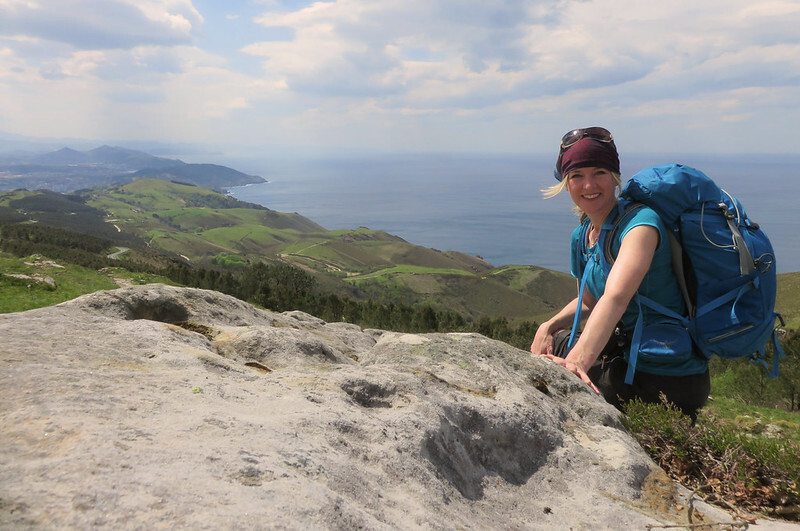 For two and a half years after my first Camino in 2013 I yearned to return to Spain. I nearly did in 2014, but was hesitant. I didn’t feel ready, so instead I ventured to South America and backpacked for four months. Finally, last spring, it was time. 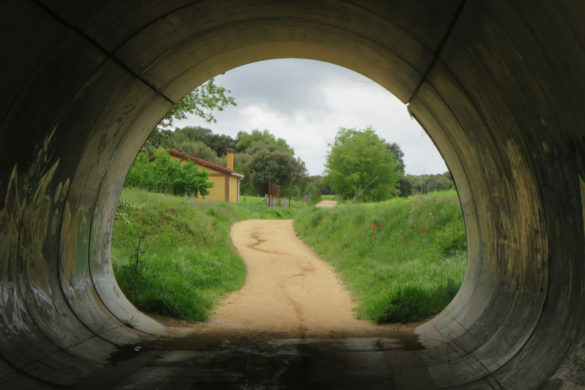 Little did I know back then that this journey would encompass parts of three Camino routes beginning with the Camino del Norte. 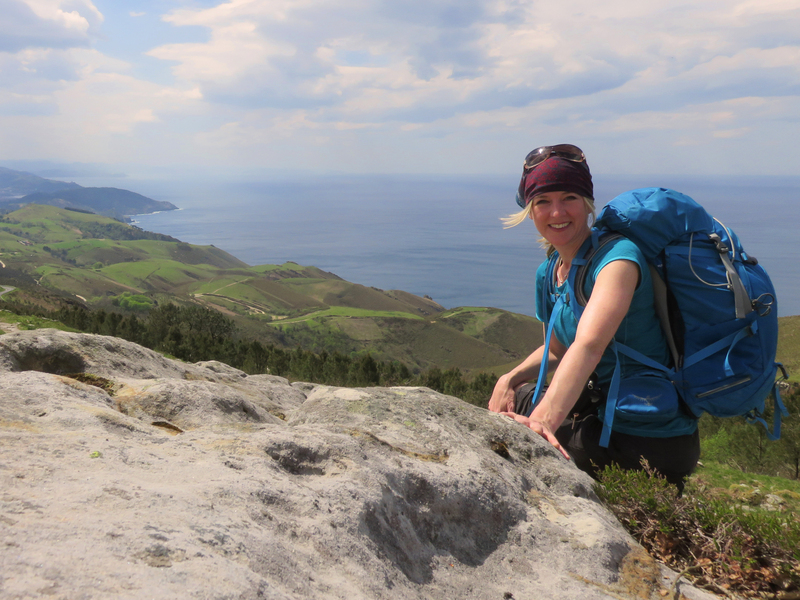 This new journey, I logically knew, would be different from my first life-changing experience along the Camino Frances. 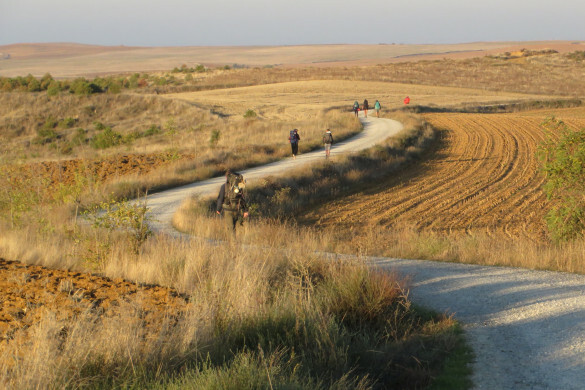 Even if I wanted to, I could never re-experience the magic of my first Camino, so “different” became the theme for planning my new one. 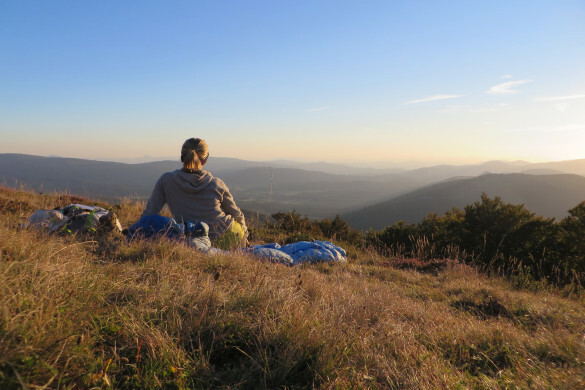 I would walk in a different season, spring as opposed to fall, and on a different route, along the coastal and mountainous Camino del Norte instead of the expansive and flatter Frances. There would be different people and I would have different experiences. 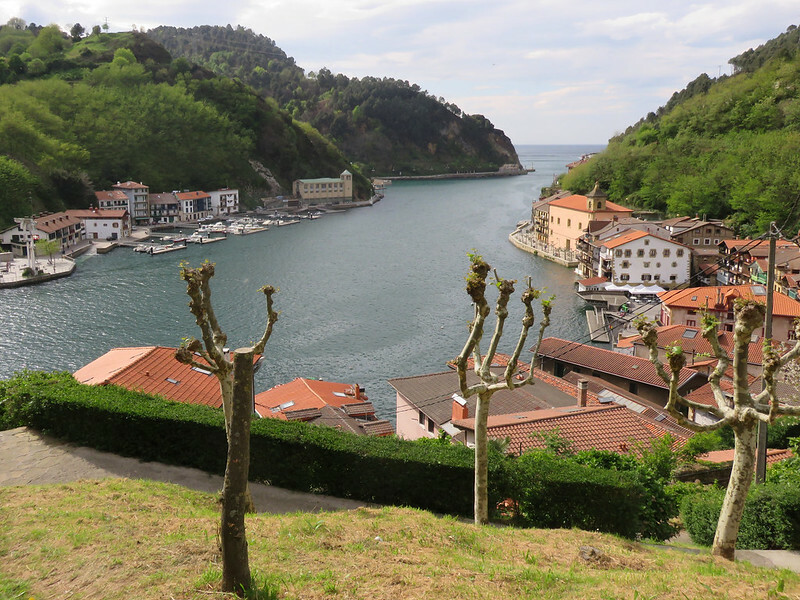 Besides, the Camino del Norte route looked beautiful with rugged coast lines, expansive ocean views, sandy beaches and bustling port cities. Plus it would be less crowded. On May 6th, 2016 my new journey began and as with any journey there would be exploration of self and an important lesson to learn. First, I found the nearest Correos (post office) and mailed my suitcase to Santiago. It was surprisingly easy and inexpensive at only 23 Euro. 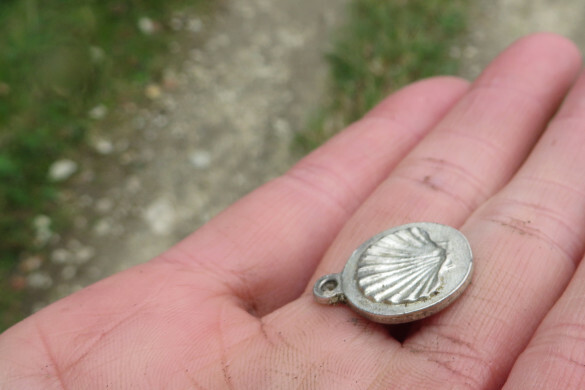 I had been advised not to mail it from France which reminds me of my ordeal on my first Camino. 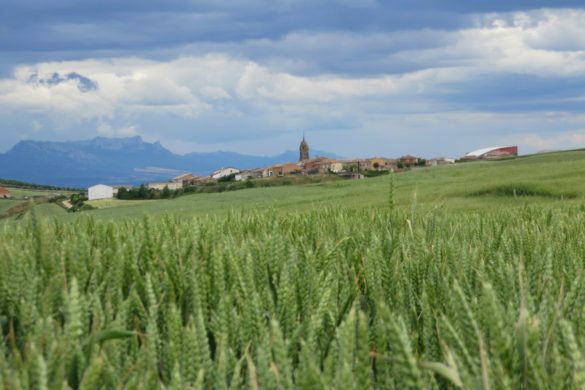 I had sent a three-kilo box of unnecessary supplies from St. Jean Pied de Port in France to Logroño in Spain – a seven-day walk. Unfortunately, it never arrived. It was in limbo somewhere between the two places and I never got it back. This time the outcome would hopefully be different. Instead of mailing my suitcase to the Santiago post office, I chose to mail it to Ivar, the founder of the Camino forum. 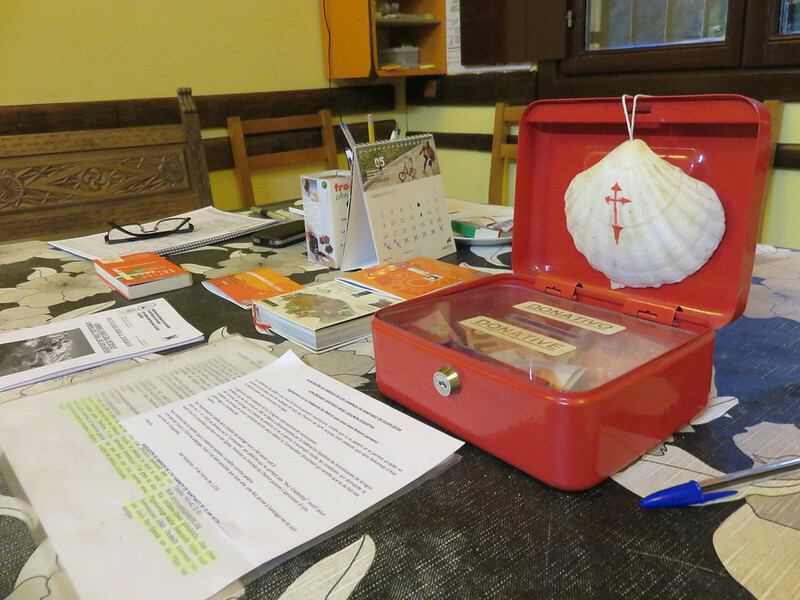 He has a storage service in Santiago for pilgrims who are walking the Camino. 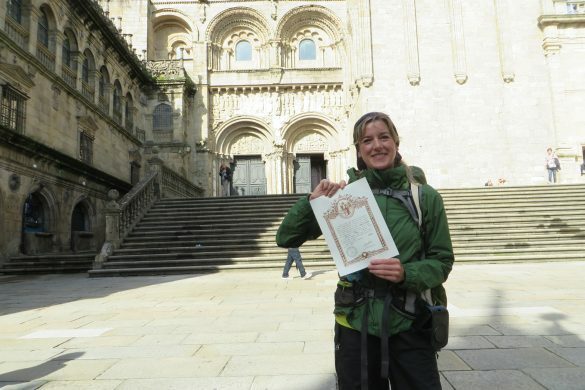 My plan was to pick up my suitcase five weeks later when I arrived on foot, although I wouldn’t reach Santiago that way. 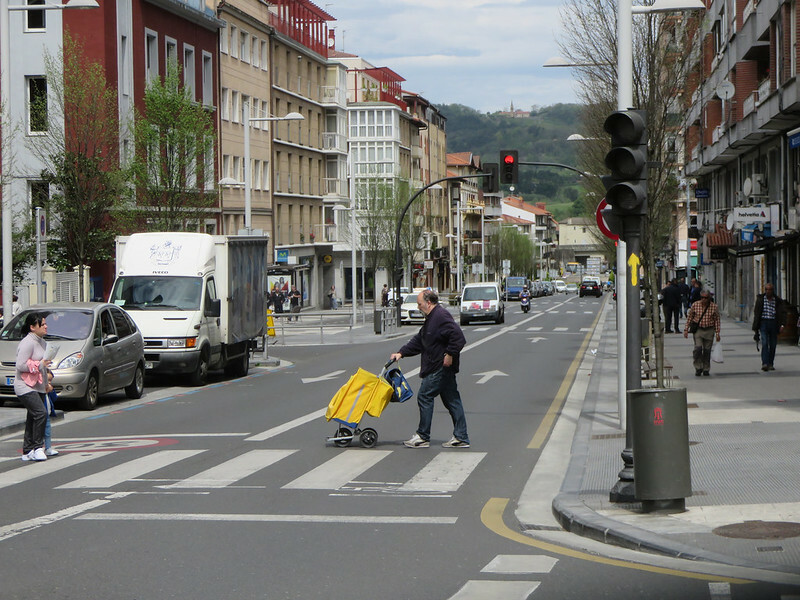 Calm permeated my body when I spotted my first yellow arrow in Irún. My shoulders relaxed under the 8 kilo weight of my backpack. My heart suddenly felt full of familiarity. 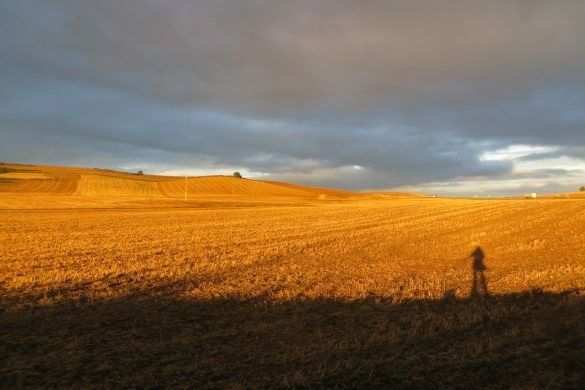 The Camino began pulsing through my veins. I walked with the certainty of knowing my way. 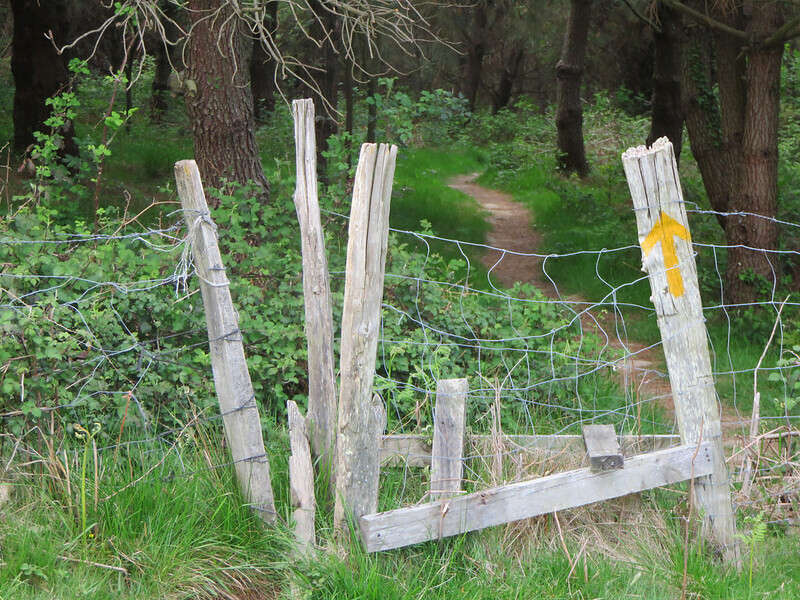 “Just follow the yellow arrows,” I told myself as I continued through the city and towards the coastal country-side. 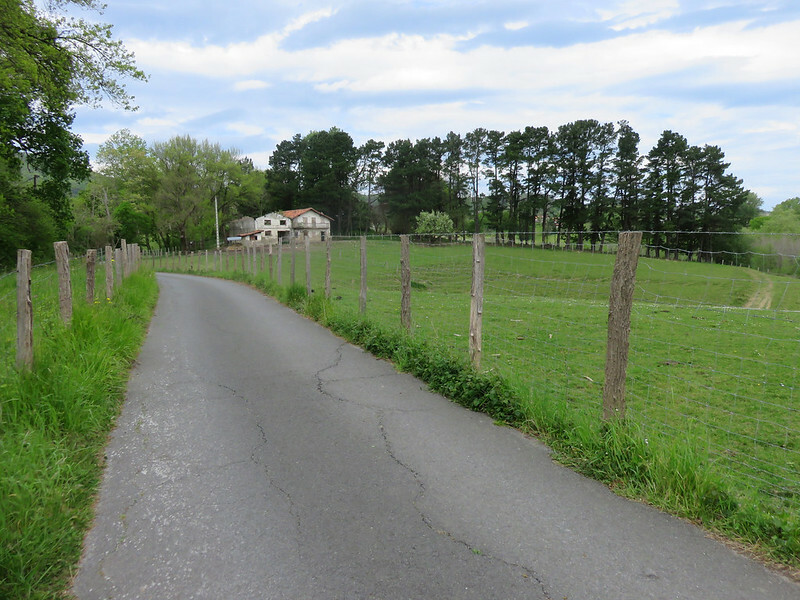 The country landscape outside of Irún reminded me of the outskirts of St. Jean Pied de Port with quiet country roads and farmland. The climb along the alpinist route to the top was strenuous, but I’m used to that. My happy place has always been in the mountains and my efforts always rewarded. This was no different. The views from higher up were spectacular. The vast sea spread out as far as my eye could see. Irún, Spain and Hendaye, France spread out below. It was so pretty in daylight compared to the previous night when I made my midnight border crossing. 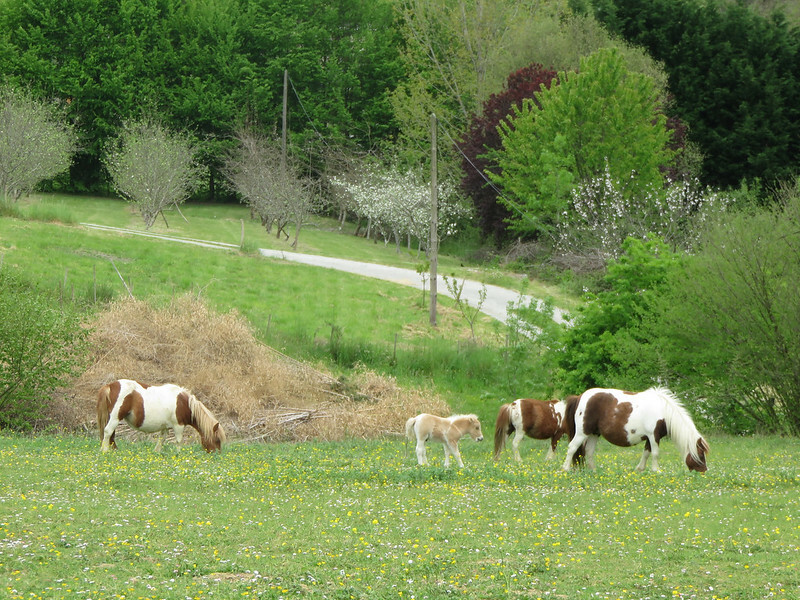 A herd of horses, including two nuzzling foals, grazed on the Camino trail. Ahhh…the peace of it. It was kind of like the Pyrenees in that way except with the sea on my right. 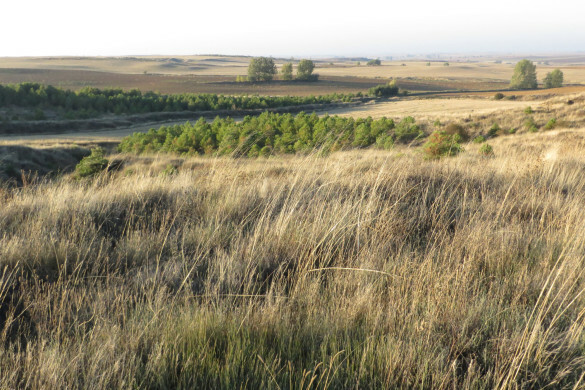 I was feeling good – happy to be walking through this beautiful landscape – and ecstatic to be back on the Camino following yellow arrows. Along with mostly high ocean views, there was also a short section through the forest. It was peaceful and beautiful. 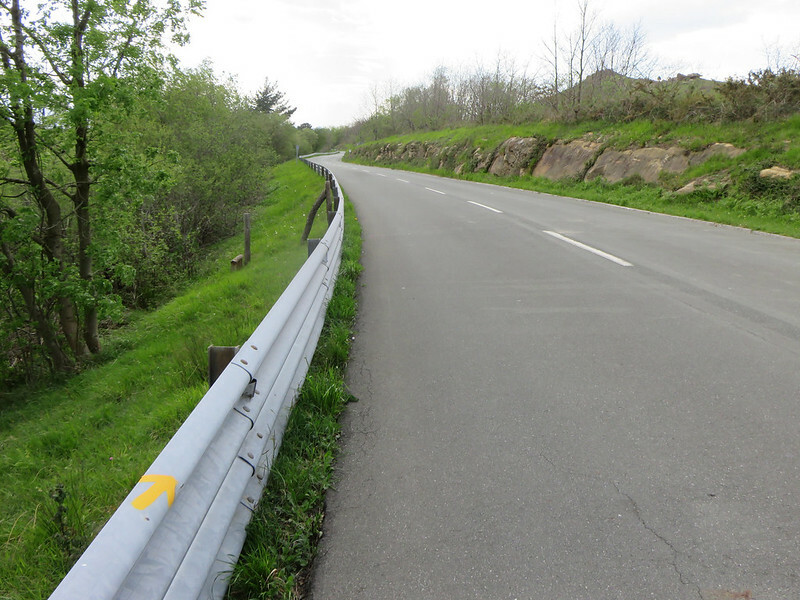 There was also a more sketchy section along a road with no shoulder. It was imperative to be cautious of traffic here; however the road wasn’t busy. My goal for the day was to reach Pasajes de San Juan, a fishing port located 16 kilometers from Irún. I thought it best to start off easy on this hilly route rather than power straight through to San Sebastian, 26 kilometers, on my first day. There was no sense pushing too hard and potentially injuring myself early on. I didn’t encounter many ‘walking’ pilgrims, however there were quite a few cyclists. Most didn’t speak English, but rather French and Spanish. However, when I arrived in Pasajes de San Juan I met Ivan from Quebec, a fellow Canadian, who did speak English. 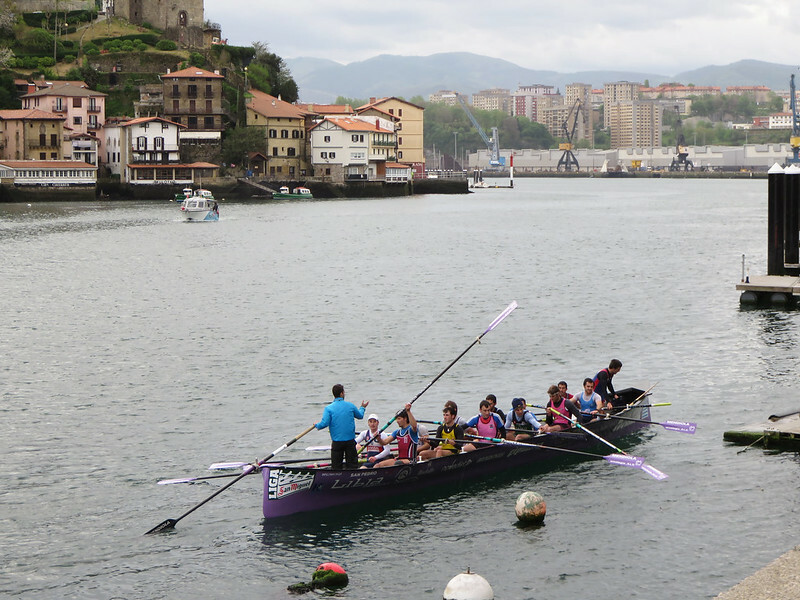 Pasajes de San Juan is a beautiful fishing port which, for centuries, was a base for the Spanish navy. Residences and businesses lined the edge of the water. 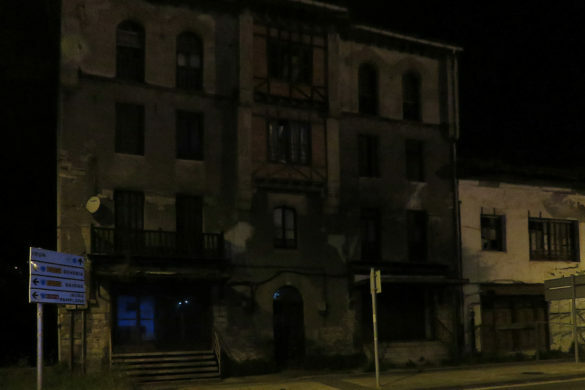 Ivan said the place reminded him of Italy. 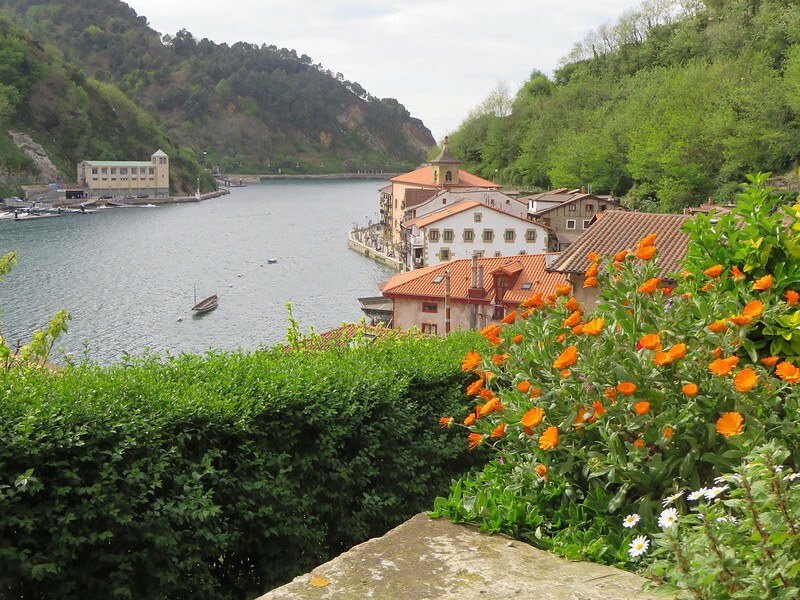 The view of the harbour from the Albergue de Peregrinos Santa Ana is spectacular. There is much activity in the harbour from large ships to fishing boats and rowing crews. Ivan and I sat by the water with a glass of wine and chatted about our journeys thus far. 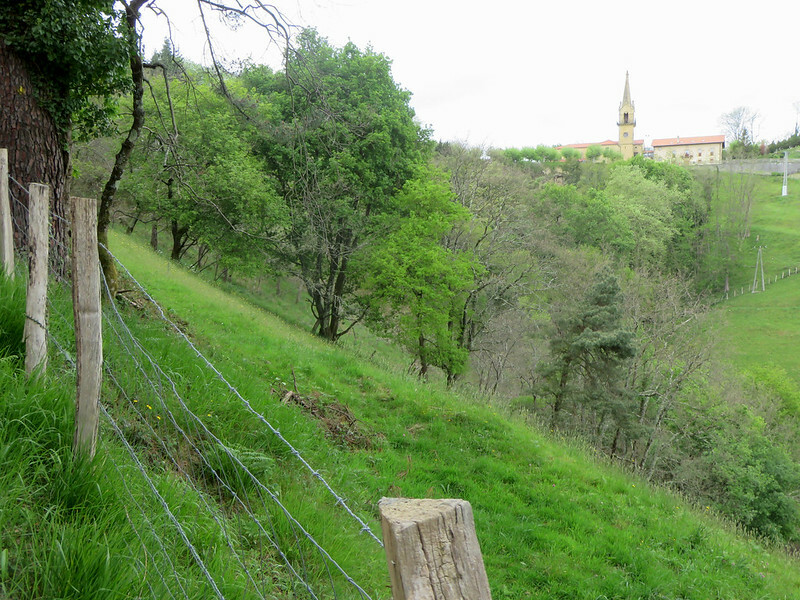 He had actually started walking from Biarritz and was planning to walk to Santiago possibly via the Primitivo route once he got to Oviedo. Back home, he and his partner were taking a break. He was walking to figure some things out although he hoped she would join him on his walk at some point. Ivan and I continued to sit by the harbour until the rain started. 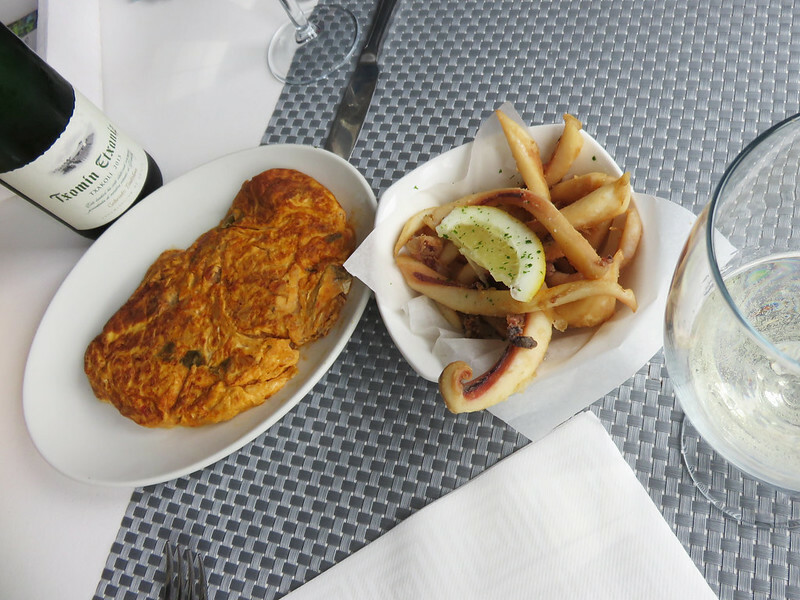 Then we ventured inside and paired a bottle of white wine with seafood tapas including pulpo (octapus) and sardines. 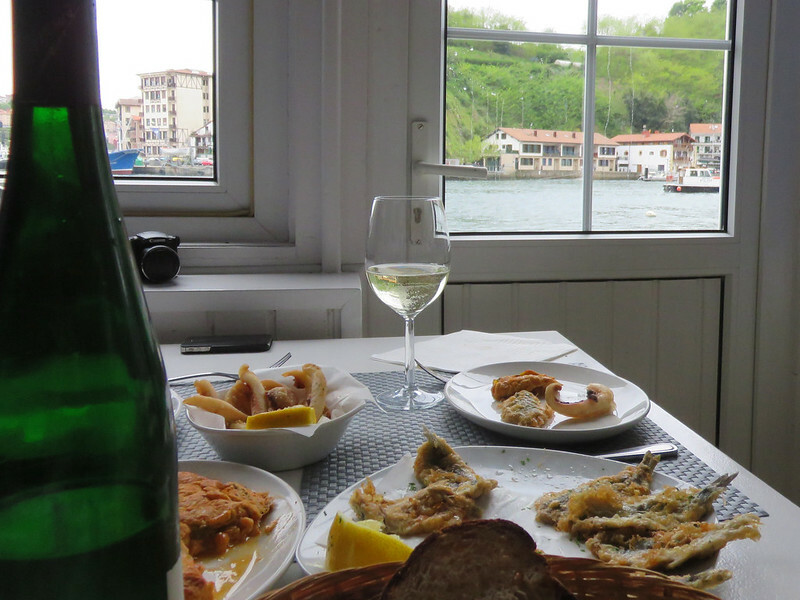 What better place to try seafood than in a quaint Spanish fishing port. It was spectacular! The pulpo was perfectly done at this restaurant – not chewy at all. 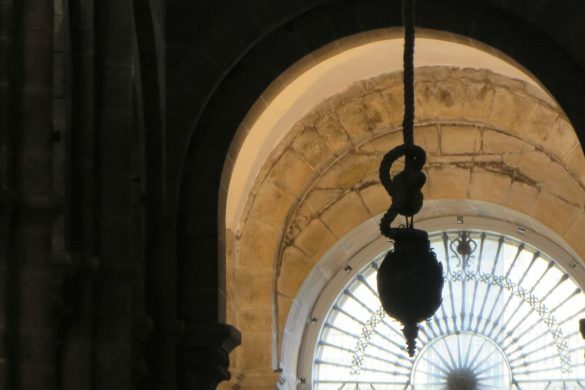 The Albergue de Peregrinos Santa Ana, is ‘donativo’ meaning it is operated by donations. It’s not often you get this kind of view from an albergue. 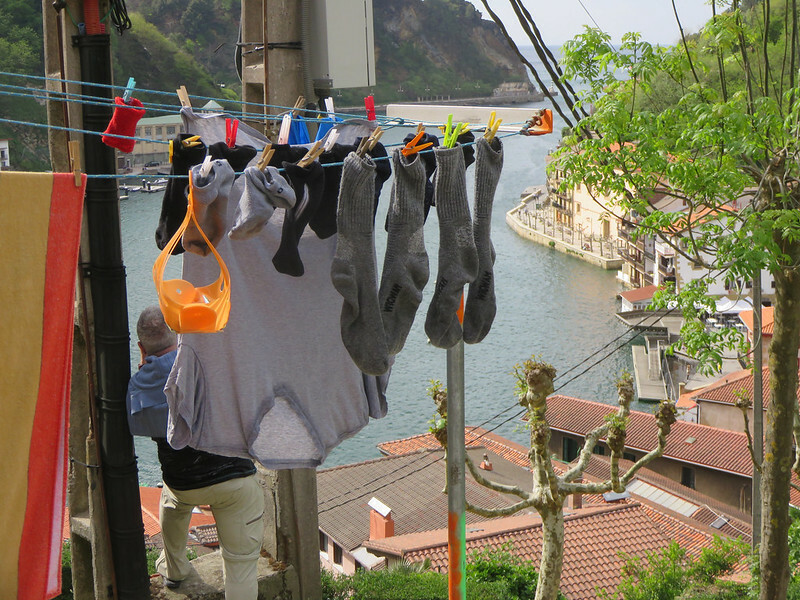 Well, of socks hanging from a line, yes, but the view behind them, not usually. This was luxury! 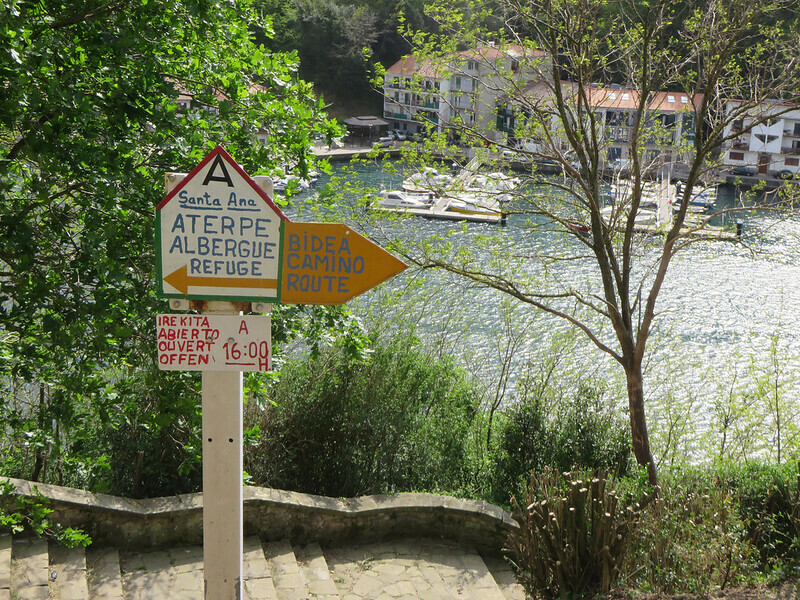 It is a lovely albergue, but small – only 14 beds. Unfortunately, the snoring this night was horrific. 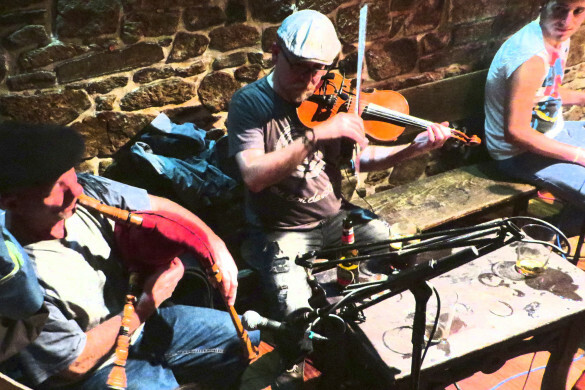 It sounded like three snarling dogs at a standoff in the small room. My bunk was the last one on the left – top. I was thankful to have included ear plugs on my packing list! Day one felt great! The walk was strenuous, but beautiful. 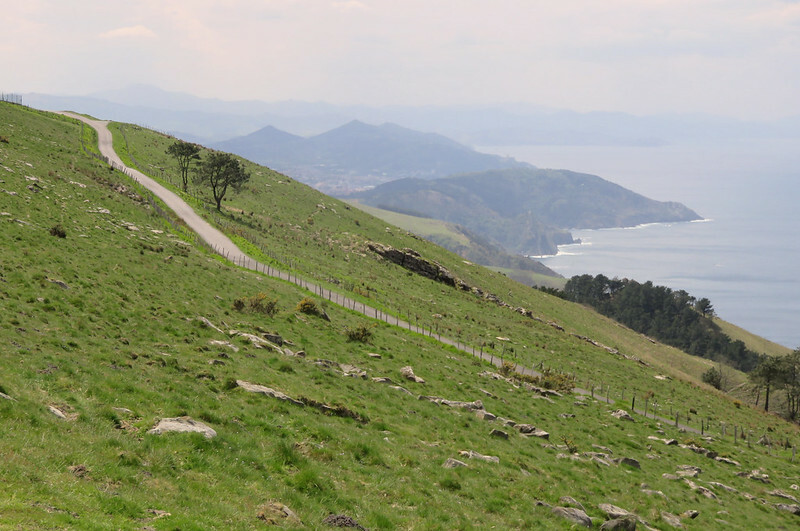 It was well worth starting from Irún, but I do recommend dividing the first stage between Irún and San Sebastian into two days. 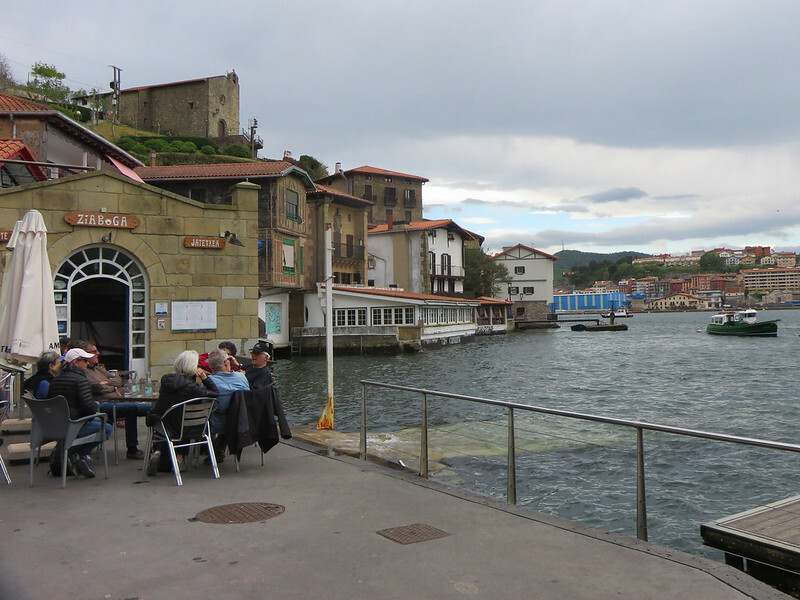 The walk between Pasajes de San Juan and San Sebastian is equally as beautiful. I was happy to have the time to enjoy it. Plus, Pasajes de San Juan is a beautiful and worthwhile place to spend the evening. If you’ve walked this stage along the Norte from Irún, what was your experience on day one? 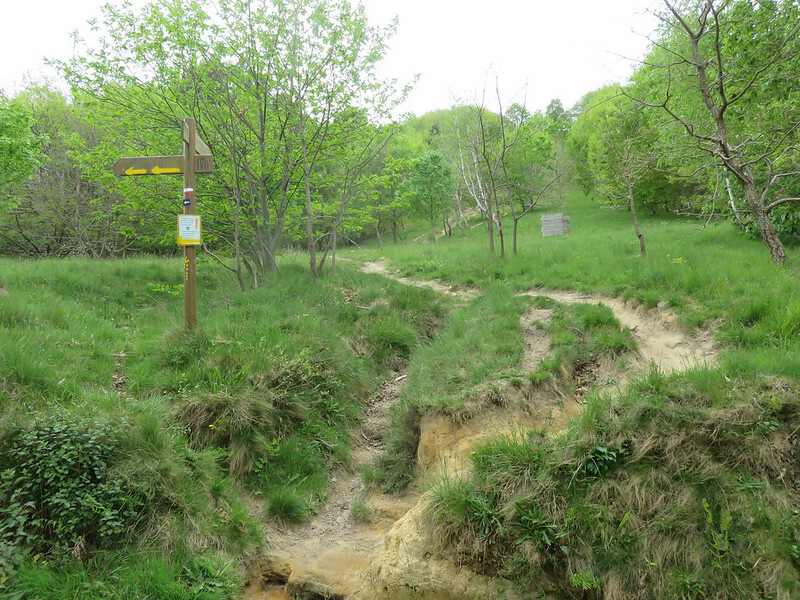 Did you walk the lower route or the alpinist route? Did you walk the full stage to San Sebastian or break it into two days? Tania, love your blog. Will be walking del Norte in May 2017 – similar time of the year as you. Your description of your first day out was very informative. Looking forward to more. Thanks Kieran! So glad the info is helpful. May was beautiful, not cold, lots of flowers out. The weather can be changeable on the coast though as you may well know. 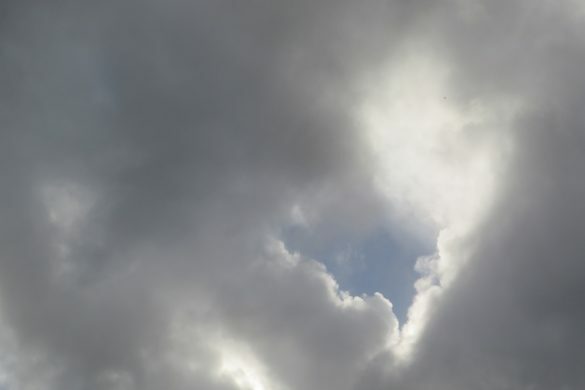 For the days I was on the Norte it was a mixture of overcast and sun…a tiny bit of rain, but mostly nice and mild. Hi Tania, love the blog…looks really professional. 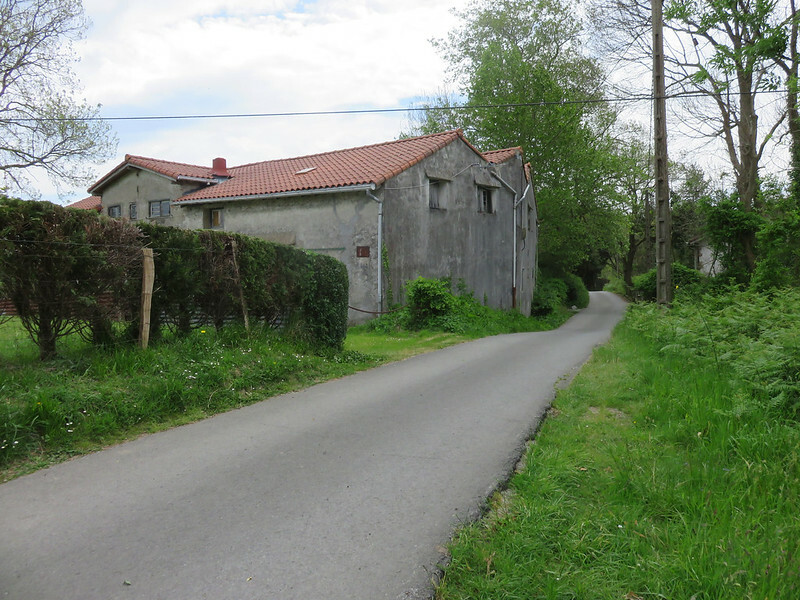 I walked from Hendaya/Irun with my family for five days as far as Gernika and hope to return to continue in 2017 sometime. Unfortunately for us, we were there in July and were absolutely baked for five days in the heat and especially thankful for the sea breeze. 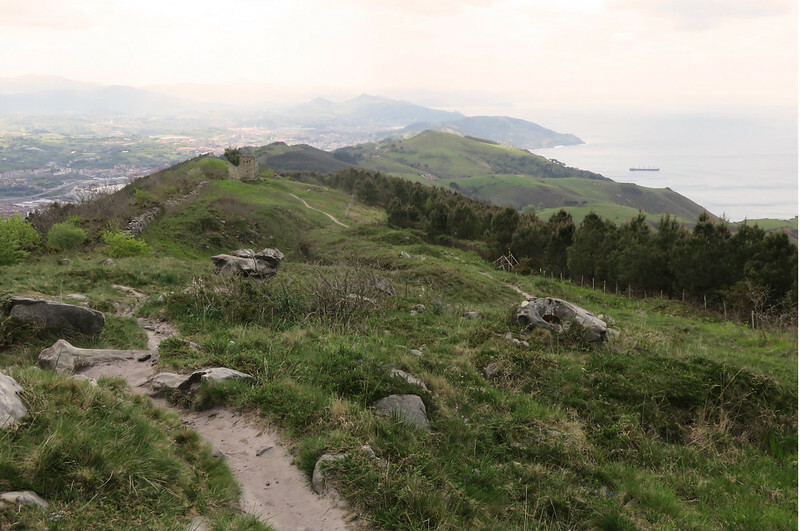 We walked the lower route on day one and made it to San Sebastian…you can read more here at a small blog I out together (no where near as good as yours though)!!! Looking forward to your day two and how you managed the steps up and out of Pasajes..I remember it was brutal!!! Thank you Neil! Yes, I heard the summer is a really hot time to walk the Camino even on the north coast. May was perfect, at least when I went. I spent much time in a t-shirt. 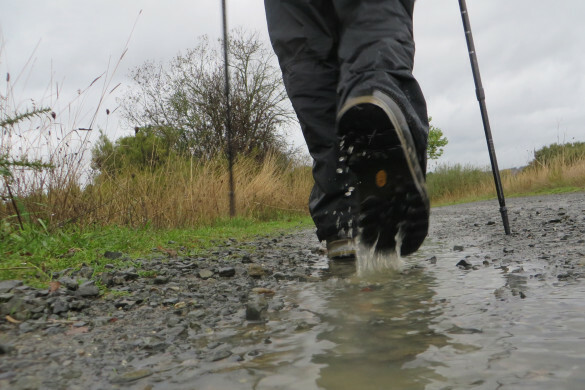 There was just a little bit of rain, but then again my journey along the Norte was short before detouring to the Frances and again to the San Salvador route (fantastic by the way!). Yes, the climb after Pasajes was steep…lots of steps, but so worth it for the amazing rugged coastline you get to see as I’m sure you remember. Thanks for leaving your blog link! I was interested to read your account of the day after Deba since that was where I detoured. Sounds like it was a strenuous day for everyone! Great idea to play games and sing to keep your boys focused on fun instead of the hard work! 🙂 Beautiful scenery through the forest and mountains. I probably would have liked that section. Very happy to have found your blog. 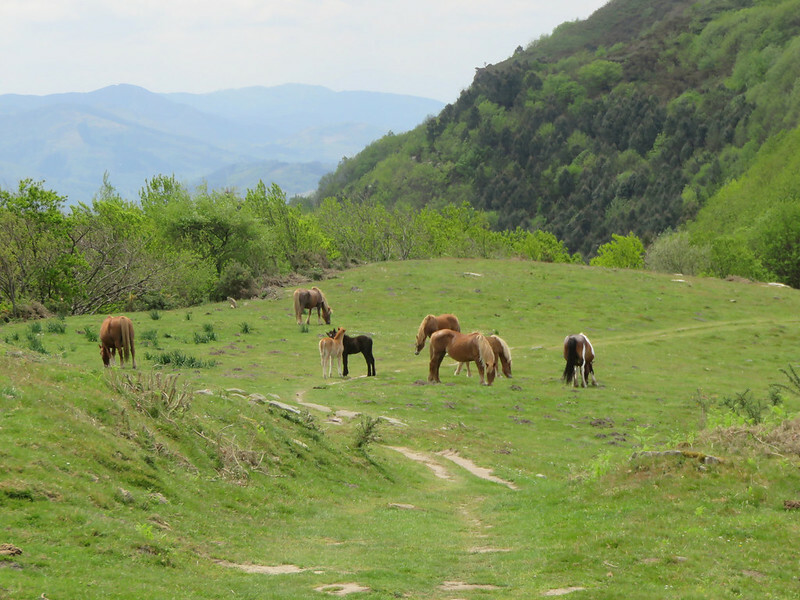 I am planning to hike the route from Iran to Bilbao and then either the primitivo or westward from Santillana Del Mar. I have read of the difficulty and am thinking that over. (I’m a reasonably fit 63), but I have a more specific question: a blind friend is hoping to join me. She will be fine if the two of us can walk side by side, but it is hard for her if she has to hold onto my back and walk behind me. I notice some photos where the path appears extremely narrow — is there a lot of that or just short sections? Is the footing generally sound and level? Any observations you might have would be very welcome.